Built in Obsolescence destroys Brand Loyalty because nothing lasts anymore. In the last month our Air conditioner failed, our Refrigerator failed, our New Oven was faulty and couldn’t be repaired. The Aircon and fridge were just 13 years old. I got a full refund including installation costs for the new oven, which I believe had a design flaw. Sorting all that out seemed almost like a full time job! It seems we are continually replacing appliances, often just after their warranty runs out. But I think it’s our fault. I remember a time when we had a second hand washing machine and a 2nd hand fridge that both lasted for many years until they rusted away. These days the appliance dies before it’s had time to start rusting. When I bought my first mobile phone I also bought an expensive leather case to protect it – what was I thinking?? that I mustn’t scratch it and spoil the resale value? Ha Ha the joke’s on us all, nothing lasts anymore. Everything is built with Planned Obsolescence. That old 2nd hand washing machine which was originally in a laundrette, so had done a ton of work, finally rusted away. Naturally I was impressed with the brand, Whirlpool I think, so I replaced it with a new Whirlpool. Sadly the new one only had one speed, the old one had two, and it ripped up so many garments that we became afraid to use it and did a lot of hand washing. Luckily it rusted away very quickly. When our trusty Rover Mower died after a sterling 20+ years of work, I was impressed with the brand and replaced it with another Rover. Instead of the vertical pull start of the old one, this one had a horizontal pull start and it was a very reluctant starter. I took it back and the shop owner started it with one pull. There was nothing I could say. I’m not weak but to start ‘SATAN’ as we call the mower, it has to be pushed away hard and simultaneously pull started, using ALL my strength. Hot water tanks used to last 30-50 years. Our new one bought in 1998 had to be replaced in 2008. These and other experiences have destroyed my brand loyalty. Now I trawl the net, reading forums and reviews, looking for what people say about a product and after many hours I get a probable view of what is good and bad. I was in the market for a new Camera a couple of years ago. I was extremely happy with my 4mp 10x zoom Olympus, I felt it had a special lens. Research soon showed me that the Panasonic FZ150 12mp 24x zoom was way ahead, so I bought one and it was every bit as good as the forums and reviews said it was. Who would ever have thought that Panasonic would make a better camera than Canon or Olympus? Built in Obsolescence isn’t as new as we might think- it began in the 30’s Is planned obsolescence socially responsible? and became routine in the 1950’s. It’s not just the fault of the producers. We the consumers are also at fault. We haggle over prices, ask,’what is your BEST price’, and generally buy the lowest priced product that will suit our needs. Often the producers profit margin is slim. An example is the home printer. These are sold at or under cost price and the profit is made from selling ink cartridges. The printers have counters/ photo cells etc and know when the ink is getting low. Some of them will refuse to print when one cartridge is low, even if that is a colour and you want to print in black. They often have 6 cartridges a light and dark Magenta and Blue which is possibly another attempt to make more money from the consumer. Canon and other printer manufacturers always insist that new replacement cartridges must be used. That is not so, I’ve re-filled cartridges for at least 15 years. Which makes me just as guilt as everyone else, we’re all trying to save money at the producers expense. The result is that here in Australia we no longer make Fridges, TV’s and many other products. It’s cheaper to buy from overseas. That’s a very short term view. When you take a TV/Fridge etc to the dump because it is cheaper to buy a new one than repair the old, do you ever think the system is crazy? I do. Low prices are very attractive, but we must expect to continually have to renew everything. There are times when I would pay extra not to have this hassle, but I have no trust that a more expensive product will have the longevity there used to be, in ‘the Old Days’. This is the fifth year of my Beer Advent Calendar – once again I look forward to trying different brews that I wouldn’t normally choose. In 2009 I started posting the results of my Beer Advent Calendar here at the Shed, links to other years at the end of this post. Rating: I score the beers between 1 and 10, assuming ALL beer is drinkable so there is no zero and 10 is the best. Basically I divide beers into 3 categories. I wouldn’t pay for this beer/I would pay for this beer/I would pay OFTEN for this beer. Normally I wouldn’t buy a beer rating under 6 and more preferably over 7. My ratings are between the 24 beers tasted this year and don’t relate to any previous year. I haven’t drunk this beer for over 30 years. WOW it was so eager to meet me it spurted out of the neck as soon as I removed the cap, accompanied by a lovely strong beer smell. This is a beer made in Newcastle UK and exported to Aus in tiny 330ml bottles. I doubt the Poms would buy it in such a tiny bottle. I’ve enjoyed PINTS of Newcastle Brown, so 330mls seems more like a ‘throw down’ than a drink. It tasted great, with malt and caramel the dominant factors. I was expecting a thicker mouthfeel but it still had plenty and it would be easy to drink several Newcastle Browns in one session . It poured a reddish brown colour, with a good head, and I wanted to taste more. Carlesberg is one of my favourite beers, but occasionally I get a bad batch, due perhaps to being exposed to heat on it’s 1600 km journey to my local bottle shop, Dan Murphy’s. So I bought this bottle wondering if it would be a good or bad one. I was pleased to find this beer in excellent condition. It poured straw yellow with some head which soon dissipated. the smell and taste is typical Pilsner, at its best. I have written to Santa, pleading for more!! Here’s a beer I don’t remember having before. I’ve often wondered about it and I was pleased to discover it’s another very nice tasting Pilsner. Made in Indonesia by a company started by Heineken in 1929, there’s no surprise that it has that typical Dutch Pilsner taste that I love. It poured into the glass pale yellow and the head soon reduced to a thin film. The mouthfeel was good. There was something else in the taste, it made me think of ‘meaty’, not that it tasted of meat, but there was a subtle hint of something else. I enjoyed this beer and will try more. I have around 6 favourite Beers and I rate Stella Artois very highly. It’s the most famous Belgian beer but I don’t think it is typical of Belgian beers – to me it’s a merge of mostly Dutch Pilsner, with a small percentage of American brews like Budwiser, for its sourness and the same minor percentage of bitterness from German Lagers. It poured into the glass with a pale straw colour , a lacy head that was soon very thin. Perhaps the taste is subtle but once recognised, it ‘s a winner!! Tiger beer, a famous Singapore brew. This is another Asian brew heavily influenced by the Dutch Pilsner tradition but with a definite individuality. On first taste there is a very subtle dark tone – I identified it eventually as coffee, in the Tia Maria style. I haven’t drunk coffee for the last 3 years, so perhaps I am extra sensitive to it, and even then it was extremely subtle. This brew has a much stronger taste than Carlsberg, both very drinkable and both the same straw colour liquid. I’d like to try a few more Tigers to see how the taste changes- if I drank a few bottles, would it become overwhelming or inviting? Certainly one bottle is very enjoyable. Here’s a great beer in a decent sized 500ml bottle! Smelt great, Tasted great. The beer looked much the same as the photo, with that hint of redness and the head began at one finger and was slow to dissolve. There was malt and Caramel in the taste with very little bitterness, less than i was expecting. Definitely a great beer. I’ve always liked the taste of this beer. This time I had a few glasses poured from the tap. My favourite brew is VB and Carlton Draught is another Melbourne beer with a similar tradition, perhaps Carlton Draught is a smidge more malty. An enjoyable drink. Amarillo is not one of my favourite hops but there is something about this beer that makes it drinkable, perhaps it’s the blend with Nelson Sauvin hops, I’m not sure. Highly carbonated, it pours a cloudy yellow. Brewed In NSW by James Squire, this is a ‘refreshing beer’ that many will like. English Ales poured from the tap are my very favourite beers, sadly they’re never as good in the bottle. I was keen to sample this brew, but the initial taste told me this was from a micro brewery, there’s always that hint of homebrew which some people describe as a ‘plastticy’ taste. This beer had a bitterness that built as I drank it. As well as the hop bitterness, there was a taste of Caramel and perhaps even subtly of coffee. I was disappointed and wouldn’t want to drink another one. Heineken has always been a favourite. This Dutch beer is brewed here under license. Its amazingly clear, pale yellow, with a distinctive taste and underlying bitterness. Small 330ml bottle. Wow, I haven’t had this one since last year and it was fantastic. A decent sized 500ml bottle, it poured into the glass with a thick, creamy 2 finger head which lasted through the drink. The colour is of Beer!! that is to say dark brown with a tinge of red. The taste was everything you could ask for in an English beer- Excellent. The brewery describe this beer as ‘Real Ale’ and I agree. Hey Santa, here’s another one to put on my list!! Lovely stuff this Oranjeboom, a Dutch Style lager with a subtle extra taste. I seem to be drinking my favourites this year, I’ll have to step outside the box and try something less familiar tomorrow. If I have drunk Murphy’s before it was a long time ago. 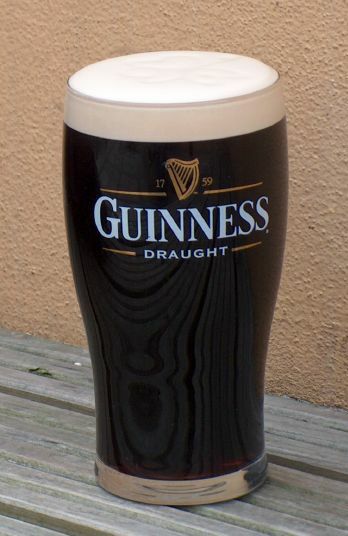 I normally would choose Guinness over Murphy’s, they are very similar. This is a great beer , very drinkable. 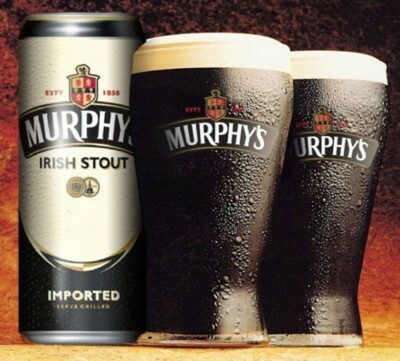 The taste is almost the same as Guinness, perhaps Murphy’s is slightly less thick, which in a tropical climate is a good think. I enjoyed this beer, thanks Mr Murphy. This beer is brewed in New Caledonia. It poured a light colour, with small head, was easy to drink and refreshing. It remionded me slightly of Budweiser, but was a unique if subtle taste. During last year’s Advent Calendar with Beer, I had a Crownie followed by a VB and there was a definite difference. Previously I though that VB and Crown Lager were very similar and that perhaps Crown Lager was VB with Gold Labels. They both use Pride of Ringwood hops – my favourite. This Crownie was as good as usual and as good as VB or better. It seemed appropriate to have another Pommie beer to drink while listening to ‘Mr Finchley Takes the Road’, a story written by Victor Canning in 1940 about Mr Finchley who tours Kent in a horsedrawn caravan. With a decent sized 500ml bottle, it poured into a glass cloudy bronze and on the label is written, ‘Matured in the bottle for a fuller flavour’. There was a subtle taste that reminded me of liquorice and a bitter aftertaste. Fuggle and Golding hops are used in the fermentation then Golding and Target hops are added after, which explains the bitterness. 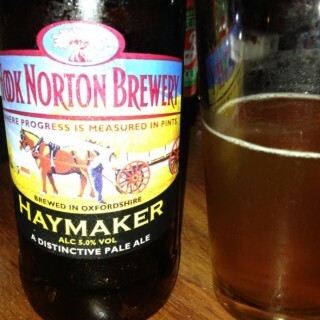 While this was a good beer it fell short of the Bombardier which is brewed at the same brewery. A few years ago I drank some Kingfisher with Shedmate El Rasheed and liked it. A while later I had one which was disappointing. I decided it was time to give Kingfisher another try. I think my sinuses were blocked or something because this beer went past bland. There was a good aroma as i popped the cap, a bit like Stella Artois. It poured clear and light yellow with a small and quickly disappearing head, but there was almost no taste. It is a 5% alcohol brew and it seemed as if it had been cut with about 50% water. The lager was highly carbonated and perhaps that was hiding the taste a little. Despite the lack of taste for me, I still enjoyed it and could have drunk more. I had a Carleberg afterwards and it too had very little taste, so I think the problem was with me, not the Kingfisher. I shall have to try it again. For me, Guinness is the King of Beers. Marvelous stuff. It poured from the widgetised can dark black, with a thick creamy head that lasted through the beer and well into the next beer afterwards which was a lager. Guinness has its own taste and aroma and I can see now that the Murphy’s I had on day 13 was a bit more watery than Guinness. As always, this was a great drink. Here’s an American Beer I haven’t tried before. I read a few bad reviews and was pleasantly surprised to find this brew was good. It was a lager in the American tradition, very mild flavour but definitely it had it’s own unique taste. I could drink a few of these. I noticed it was brewed under licence in Victoria. Beers brewed under license never seem to be exactly the same as the original. It was a very clear light yellow and the head was 1/3 finger high and lasted a little while. The worst thing was the small 330ml bottle, the beer was finished in no time! Kirin is a Japanese Lager. It poured into a glass as a pale clear straw colour with 1/3 finger head. Although the taste is delicate it was distinctive and I immediately thought it was better than Sapporo or Asahi, the other 2 Japanese beers I’ve tried. I enjoyed this beer, the carbonation was just right, and it tasted good. While drinking this beer it was very obvious that the maintaste was from the hops. The brewery website suggests that the hops are Saaz grown in the Czech Republic. The Aussie Kirin website suggests that Australian Malt is used. I haven’t tried Tooheys New for a few years, I ws looking forward to a revisit. Tooheys New is a well balanced beer, with the malt character slightly stronger than the hops. It poured a typical Lager amber colour with a one finger head, much as in the picture. The taste is very subtle, it’s hard to describe. While drinking, at different times i was reminded of those subtle tasting Pilsners and American Beers, but it is none of those. The taste is slightly sweet and the lipfeel a bit syrupy. I would have to say that it is a bland beer, would be easy to drink several because there’s nothing to overpower. 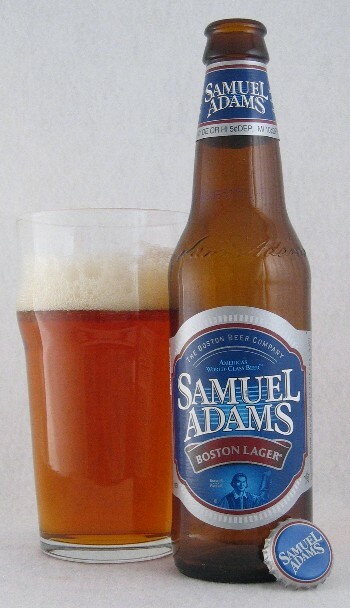 Boston Lager reminds me of UK beer more than it does of Lager. It poured cloudy amber into a glass with 1/3 finger head which was gone in 60 seconds. The taste is much stronger than the delicate Pilseners I’ve tried this Advent and is both malty and hoppy with some hop bitterness. It’s an enjoyable drink. I’ve enjoyed a few Budweisers during this year, self titled ‘the King of Beers’. Bud is an American lager which includes rice in the malting process. Rice, and Corn, are called ‘adjuncts’. Rice creates alcohol with very little taste and this makes the beer light in colour and flavour. Although Bud doesn’t have a strong taste it is an enjoyable one and it’s easy to drink several Buds without strong flavour or bitterness taking over. Most beer lovers, like me, stick to their favourite beers throughout the year and rarely try more than 5 or 6 different brews in 12 months. This year a third of the Advent Beers were new to me and there were no disaster beers. I enjoyed 24 different beers in 24 days which has given me time to review rarely drunk beers, try new beers and old favourites. I’ve looked forward each day to choosing the next Advent Calendar Beer from the fridge and examining it more closely than I would usually do. I try to match the beer to the day and the whole thing is fun! UPDATE: August 2014, since I posted this in June 2012 I’ve helped many websites appear on the first page of the search engines. I have a proven method of optimisation which works every time and I can do as little or as much as the budget allows. My Search Engine Optimisation (SEO) success extends to even the basic websites that I build, which have a very good level of optimisation. Many of these are at the top of the search pages – one client is ranking at the top of page one for ELEVEN different search terms, proving how powerful my built in basic optimisation can be. This gives added value, at no extra cost, to all websites that I build. I opened a website I was developing, to the search engines on Sunday 27th May 2012. 4 days later, on a whim, I googled the main keywords and there was the website on PAGE ONE of GOOGLE, position 7 !!! This was an amazing result. I had my webmaster friends all over Australia confirm the result. UPDATE 7th September 2012: http://guidedtoursnewcaledonia.com.au is now ranking in first and second place, page one of Google, for the search terms ‘guided tour new caledonia’ & ‘guided tours new caledonia’ -it doesn’t get any better than that!!! UPDATE 6th October 2012: www.weddingsphotographercairns.com.au is on page one of Google, position #4. My 3 marriage celebrant clients are positions #5 & #9 on page one and position #2 on page two – a highly contested profession in our area with 10 pages of search results. To have TWO on page one of google and the pother so close is more proof that my optimisation is really working. I first became interested in Search Engine Optimisation (SEO) in around 1997, through a friend who relied on his income from being on page one of the search engines. 15 years later, he is still relying for his income on being at the top of the search pages and over the years I have learned a lot from him and we’ve shared our discoveries as the search engines have changed their algorithms to prevent all the various tricks people have used to force websites to be high ranking. There are only 10 websites in the organic listings of page one of Google. It takes something very special to be one of those unpaid listings. The search engines also try to ensure that no website appears more than twice on a page, so they can offer a variety of results to the searcher. That’s the typical result of being at the top of the Search Engine Rankings. Earlier this year it only took 2 months for another client to appear on page one. When that website reached page one, in a strongly contested profession, I already had another client on that same page one, AND a third client in the same profession on page two – all for the same search term. That’s a lot more than co-incidence. Convincing proof that my SEO strategy works. But, to arrive on page one in FOUR DAYS – that is more than I’ve ever hoped for. For that website, http://guidedtoursnewcaledonia.com.au , I worked to my usual SEO plan, it takes a lot of time but I was very happy with all the optimisation work and especially the keyword density which I had got just right. A tag cloud of the home page gives a visual look at the keyword density, the larger the word the more it features in the content. You can easily see what this website is about – and that is the effect that getting the keyword density right has on the search engines. On Tuesday the 12th June 2012, I entered the same keywords – ‘guided tour new caledonia’, into Google and was amazed to find the website had FOUR ENTRIES on PAGE ONE of GOOGLE. Of course each page is set to gain its own ranking, but one website should not appear more than twice on a page. A week later and those 4 entries are still there and have climbed into positions 2, 3, 4, & 5 of the organic rankings. Ahead is one entry from the Lonely Planet, which is a tourist Guide website not a business, so basically the website has arrived at position one, page one. The site is not complete yet, there are more pages to come. The results of my Search Engine Optimisation prove that I have a great system in place. I won’t take all the credit, because I build websites using WordPress as a Content Management System and WordPress is very Search Engine friendly, and I configure it to actively help with the SEO. Together we are having SEO Success after Success!! I have now found out how to make the chapters of an audio book play in order, in sequence, in my Sansa Fuze and this probably works for several other brands of MP3 players. When I load an audio book into my Sansa Fuze, the chapters don’t always appear together, sometimes they are scattered among all the other Podcasts or Audio books. This means that the chapters are not linked, or in order- they’re also hard to find! I have tried putting the audio books into both Podcasts and Audiobooks, with the same result. The answer is so simple. To have chapters play in the order they are in, go to ‘FOLDERS’, not ‘Podcasts’ or ‘Audiobooks’. In ‘FOLDERS’ you then choose to browse through Podcasts or AudIo Books and you will see the Audio book folder, open it and play the first chapter and all other chapters will sync and play in order sequentially. If for some reason the chapters are not showing in the correct order in the folder, then they need to be renamed with a number at the front, starting with 01, then 02 etc. Or if there are more than 99 chapters start with 001,002. Please comment if you found this info useful ! Dropbox gives users 2Gb of free online storage. You have a Dropbox folder on your PC and anything you put in it is automatically copied to your Dropbox online account. You can access your account from any computer and browse or copy the files, logging in with the standard Username and Password system which is used for emails. The personal folders at your Dropbox account can be shared with anyone you choose and of course are extremely handy for syncing with other computers and having information stored online when not at home. For instance – when using an Internet Cafe or a friends computer. Signing up for a free 2GB account is easy and if you click the Dropbox logo below, you will get an EXTRA FREE 250mb – and so will I!!! Click the Logo above which will take you to a page where you can sign up for a free Dropbox account, and by clicking this logo which has my referral code attached, we both get an extra 250mb of storage for free!! I keep all my important details in folders at Dropbox, so that I can retrieve them wherever I am. My files are actually safer while stored in my Dropbox folders than on my computer because Dropbox uses the same secure methods as banks. The sharing facility is very useful too, for those times when you want to share a file too large to email – for instance a music file. 2 Gigabytes is a lot of storage, especially if you keep your photo’s somewhere like Photobucket and your videos on YouTube, because then you will mainly store documents and they take up very little space. A couple of years ago I discovered Curry Barking Mad Mick’s website with loads of videos of UK Indian Curry chefs cooking various Indian Curries. My search to create an Indian Curry to restaurant standard has been immensely helped by theses videos and the downloadable PDF book Mick had for sale. Now the PDF has spawned a full colour book – while the information is the same, the colour pictures lift the book to another dimension. I really like it so I’ve made a short video of it.. Stereo Mix is used to transfer audio that the PC is playing to recording software such as Audacity, so that you can record what you’re hearing. I spent several days Googling for an answer. Because I had upgraded windows but had the same motherboard and sound card, it was less confusing than a completely new system and eventually I decided, from the answers on the net, to download the latest soundcard driver, because the only thing that had changed was the operating system. The advice was not to go to windows for it, but to go to the motherboard manufacturer, because it would be specialised for the system rather than a generic driver, which might not be as good, or even cause problems. I found my receipt for the last computer rebuild and the motherboard is an Asus p8p67. An alternative is to open the side panel of the PC and read the name and model on the actual motherboard, or get free software which will tell you what the MoBo is. I went to Asus, filled in the model number, located the correct audio driver, downloaded and installed it. Looks likethere are thousands of people like me, looking for an answer to the missing Stereo Mix. There may be other solutions, this worked for me, I Hope this works for you to!